Focaccia is a delicious bread made from pizza dough. Make the dough as for the pizza recipe. Spread a generous amount of extra virgin olive oil onto an oven tray. Roll out the dough to a thick (roughly 1cm) square/rectangle and place onto the oiled tray. Using your fingertips, make some indentations into the surface of the dough. Sprinkle on some coarse sea salt and rosemary and drizzle on some extra-virgin olive oil. Place in the oven and cook for approximately 10 minutes, until the dough is cooked and the surface has begun to turn golden. Serve hot or cold, on its own or sliced open and filled with mozzarella and ham, like a sandwich. 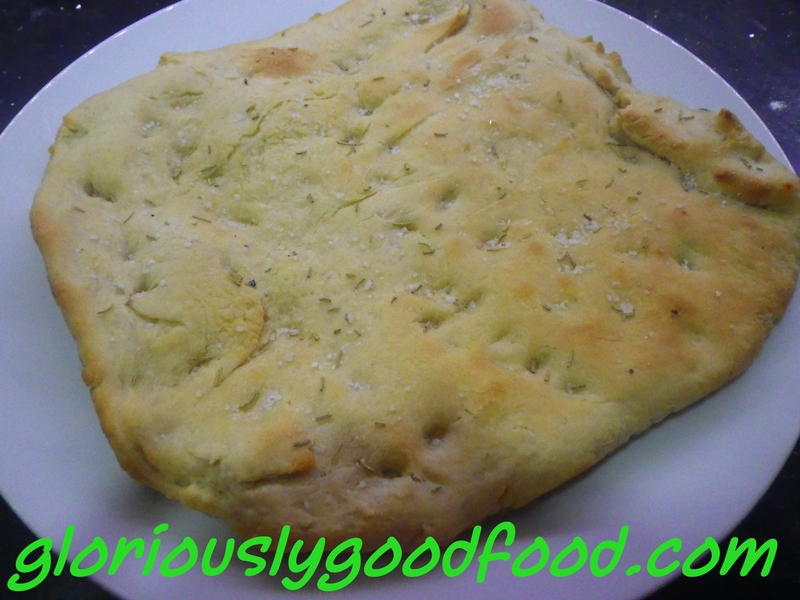 Focaccia | Gloriously Simple, Gloriously Good! This entry was posted in Italian, Vegetarian and tagged focaccia, pizza, pizza dough. Bookmark the permalink.